Inquiring reader, I reviewed the first episode of At Home With the Georgians, A Man’s Place. This week, Tony reviews the second episode, A Woman’s Touch, adding his unique humor and male perspective. 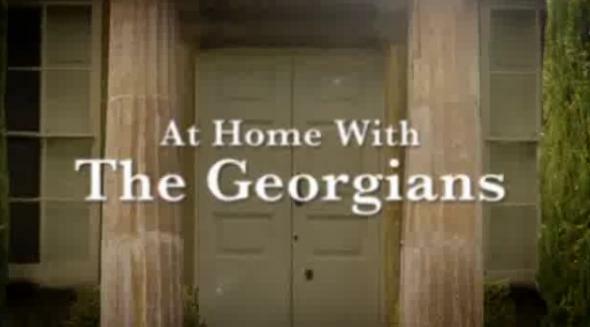 We have just had the second part of Amanda Vickery’s ,”At Home With Georgians,” aired on our screens. Vic wrote an excellent review of the first programme which dealt with the growing craze and indeed need the Georgians developed to own their own homes. Owning a house became a requirement to attract a good partner in marriage. Amanda Vickery’s seductive, sometimes amusing, tongue in cheek, highly intelligent way, entertained us to a very enjoyable , incisive analysis of this craze. 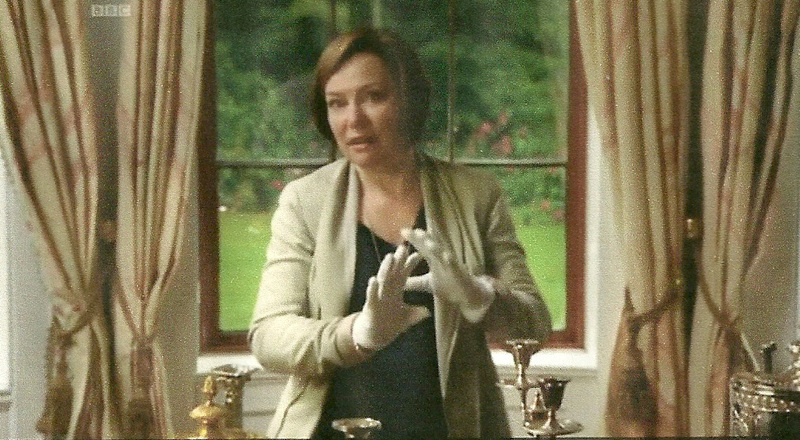 You must take into account Amanda Vickery’s origins when viewing this series to understand the full subtlety of her presentation. She is a Lancashire lass brought up in the northern mill town of Preston. Just listen to that smooth Lancashire accent. Girls and indeed boys are educated in the hard knocks of life up there and a hard; millstone grit type of humour that can get you through anything is all part of the upbringing. Witness that sassy smile ,sideways look, the very northern words she uses, the continual gentle flick of her fringe from in front of her eyes. Oh yes, she has learned all the tricks. A very powerful woman indeed. Amanda and her big desk. 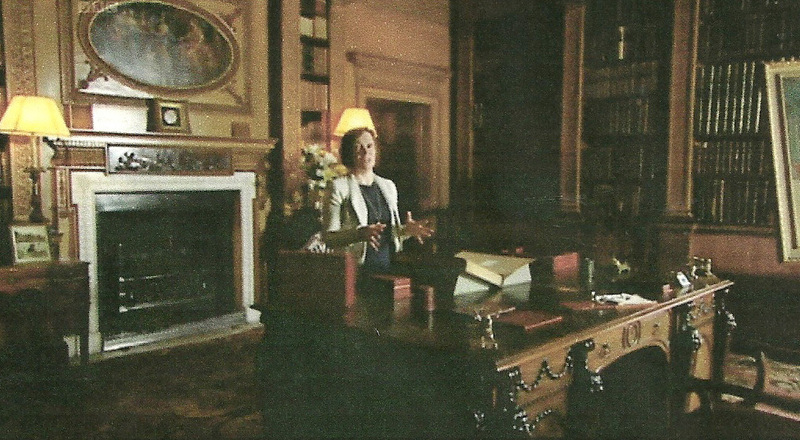 In the first episode a wealthy merchants desk makes an appearance. Remember that scene? Amanda sits behind it and drapes herself across it, looks straight at us and intones, “Look at me, look at my desk,” as she caresses it’s polished smooth surface lovingly. Pure, naughty northern humour. By the way, the desk makes another appearance in this second episode. Amanda would be great as an entertainer in a northern working mens club. They would love her. I roared with laughter. But, what is so very very beguiling about Amanda and her presentation and what is most attractive is her deep intellectual analysis underlying her humour. We get all the layers of meaning that oozed unconsciously from this period. Amanda has uncovered the lot. This episode begins with Amanda touring what seems to be an ordinary every day persons home, with other visitors. This is not as strange as it seems. Here in London we have a weekend in the summer every year which is called London Open House weekend. People can apply to open their homes for the public to visit. Anything from Hampton Court to a local semi in my road can be listed on their website. This year I went to Sir John Soanes House, an 18th century architects house in Holburn and the next day to a small house in Wimbledon owned by an architect who has taken Soanes ideas and incorporated them into his own 1950’s box shaped home. The comparison of ideas in both was very striking. Amanda makes the point that visiting people’s homes is not new. It started in the 18th century and is just as strong and vibrant a custom today. When we visit people’s homes, be they friends or strangers, we overtly or subconsciously gather ideas for our own homes. 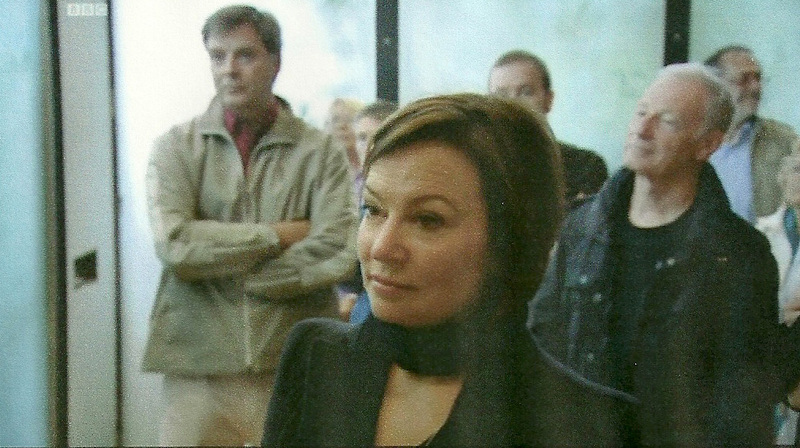 For the Georgians, and this is the point of this episode, getting ideas for their own interiors was a passion. DIY, home improvement, home magazines and adverts are not new. They began in 18th century England. 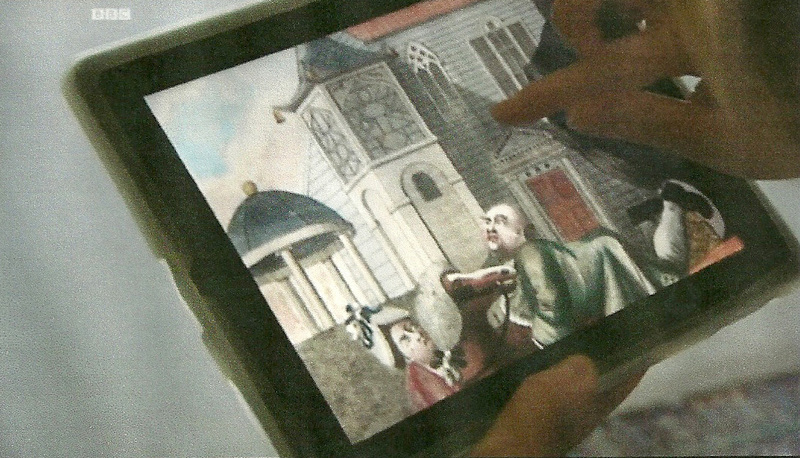 The aristocrats and the wealthy opened their houses for the public to come and see. They were the arbiters of what was good and bad. The,”middling classes,” also wanted artefacts of good taste in their homes. So entrepreneurs and craftsmen like Matthew Bolton produced cheaper versions in Sheffield plate, of the things the rich had. A whole new market opened up with the middle classes owning their own homes. 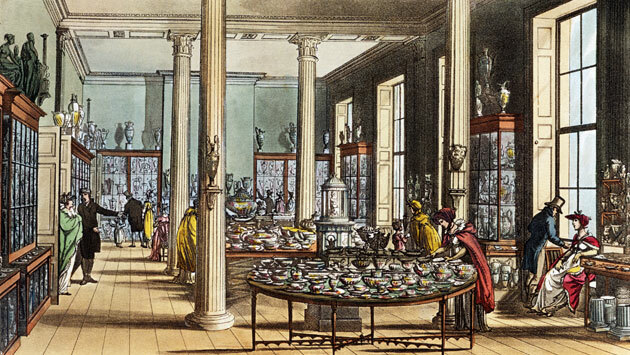 Factories like Wedgwood churned out the stuff and it was greedily bought up. Artifacts and furniture were big business and created a need for salesmen and advertising. The modern world was being invented. 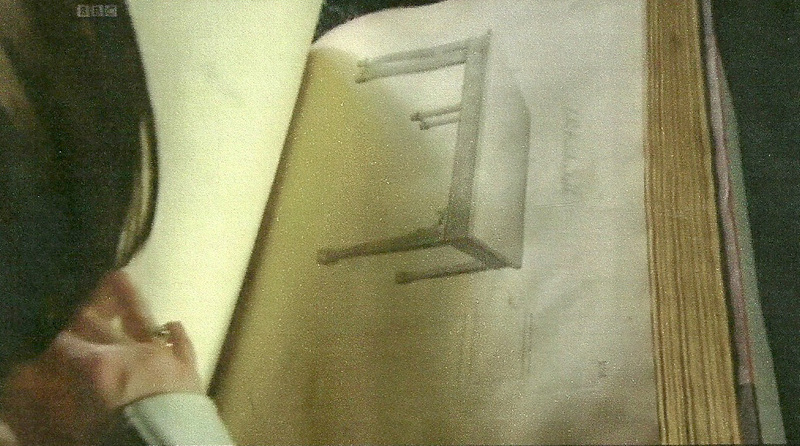 Metamorphic furniture made its’ appearance at this time. A great opportunity for a bit of toilet humour shall we say from our Amanda. She shows an incredible commode that you or I would be proud to eat our angel cakes off. Some did get it wrong and big time. Amanda refers to two diaries in particular. One diary written by a Mrs Hewett relates how, just after marrying, she became ill and had to recuperate at home with her mother. James Hewett had bought a magnificent new house. He was very ambitious. However it was not decorated and because James was in a hurry he decided to go ahead and decorate it himself. It nearly destroyed their marriage before it got going. Another aristocratic family had it all but they didn’t socialise. The husband hated women and he couldn’t see the point in having visitors. This did destroy the marriage. Amanda is very good at balancing her view with the sad and painful experiences of some. One of the points of this programme is that with interior decoration the home became the realm of the woman of the house. It was their palette, their creative space. Women decided on the decoration in the 18th century. It made homes comfortable, gentle, seductive places. 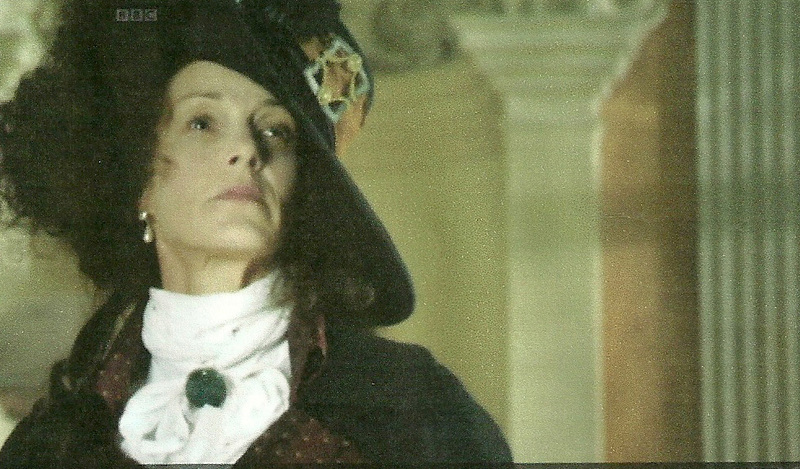 Not the male testosterone fuelled (quoting Amanda here) interiors of the previous Stuart period. Visiting and socializing was a vital element too. If this was got wrong too there could be dire consequences. The third installment of this series, Safe as Houses, was shown last Thursday. Look for Tony’s review of this episode soon. Beautifully written review–can’t wait to see the show! Tony’s fascination with Amanda makes me think, though, that perhaps I should watch it when my husband is out! on December 18, 2010 at 15:15 Meredith R.
Thanks for an informative yet humorous description of this episode. I can’t wait for this series to come to the States. Amanda Vickery in your description comes off as knowledgeable yet accessible, a rare combination for an academic. My question is this: what is metamorphic furniture? Good question Meredith. I should have explained. It’s a little like those toys that transform into cars then became alien monsters. In the programme a beautiful, lacquered table folds open to become a very elegant commode. Another table has a sliding top which reveals a deep recess to quickly hide away dirty cups and plates until later. One particular piece of furniture unfolded to become a bed. This sort of furniture was designed for homes with limited space. One piece of furniture might have two or even three uses. There you have it, metamorphic furniture. Just a thought Jean. I think this series was specially made for husbands. Ha! Ha! Clive, this is fabulous! I wondered about metamorphic furniture as well and this article spells it out. Thank you. 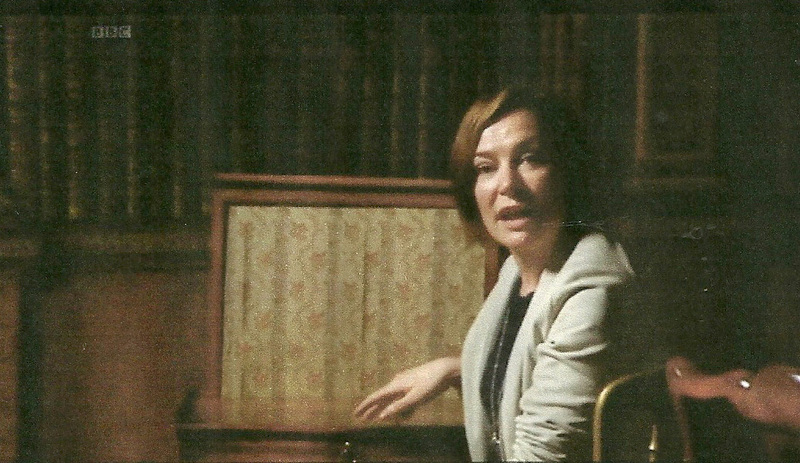 Yes, let’s see more of Amanda Vickery! Her unique way of revealing the lives of 18th century people really bought their stories to life. Brilliant! Clive, I have now read the introduction to your dissertation and read your conclusion. When I find time I will look at the rest. The history of the development and use of one piece like that is absolutely fascinating. Thank you. Fascinating! I love when Tony guest writes. This is my favorite blog! Thanks, Vic, for it. I love to read your discoveries! Ready to assemble cabinets still a buzz in the home improvement and remodeling market. What started as a convenient alternative to traditional furniture has exceeded the hype and has proven more than nice to offer price tags. Especially after the severe economic crisis the world has become more and more homeowners are now looking beyond the low process have to offer. And if you’re planning a renovation project, this article discusses the advantages of ready to assemble furniture.